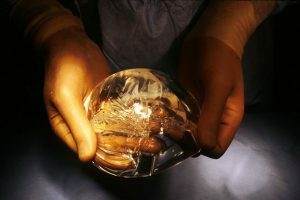 A study presented Thursday, Dec. 8, at the San Antonio Breast Cancer Symposium found that women who received breast implants had more than double the odds of developing complications if they had received radiotherapy. Women who received autologous breast reconstruction, in which a woman’s own body tissues are used to create a new breast after surgery, did not experience increased complications from radiotherapy. Women diagnosed with early-stage breast cancer face challenging decisions that will impact their long-term disease control and quality of life, says radiation oncologist and study lead author Reshma Jagsi, MD, MPhil, of the University of Michigan. For women undergoing mastectomy, reliable information to guide the integration of post-mastectomy radiation therapy and breast reconstruction is particularly important, she adds. In the study, Jagsi and colleagues sought to investigate the outcomes from two different types of breast reconstruction, implant-based and autologous reconstruction, both with and without radiotherapy. Not all patients are candidates for both approaches, but many are, says Jagsi. In a multicenter cohort study called the Mastectomy Reconstruction Outcomes Consortium (MROC), the investigators collected medical data and patient-reported outcomes data from 553 who received radiotherapy and 1,461 patients did not. About 38 percent of the patients who received radiotherapy and 25 percent of those who did not receive radiotherapy had autologous breast reconstruction. The rest received implant reconstruction. The researchers assessed whether radiotherapy was associated with developing complications, such as hematoma and wound infection after breast reconstruction. They also measured patients’ satisfaction with the outcome, using a BREAST-Q patient-reported outcome instrument, one and two years after reconstruction. After two years of follow-up, 34.1 percent of the patients treated with radiotherapy and 22.5 percent of those not treated with radiotherapy experienced reconstruction-related complications. When the researchers took several variables into account, radiotherapy was associated with more than twice the odds of developing complications among women who received implants. That was not the case among those who received autologous reconstruction. Based on BREAST-Q scores, patient-reported satisfaction was significantly lower in those who received radiation versus those who did not receive radiation among patients who received implants, but no such differences were found among patients who received autologous reconstruction. 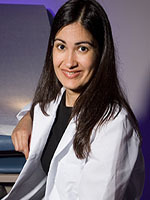 “Although women must still weigh multiple factors, including the differences in operative time and rehabilitation required for different approaches, when selecting their preferred type of reconstruction, those who plan to receive post-mastectomy radiation therapy should be informed of the substantial and significant impact of radiotherapy observed in the current study among patients who received implant reconstruction,” Jagsi says. “Conversely, those who plan to pursue autologous reconstruction and are debating whether or not to receive radiotherapy may derive some reassurance from the current study findings that outcomes among patients receiving autologous reconstruction did not appear substantially worse than those of unirradiated patients by two years,” she notes. Deciding on which reconstruction method to choose presents a challenge and is a difficult psychological hurdle for breast cancer patients, says Andrea Hutton, an author, speaker, breast cancer survivor and patient advocate who attended the presentation of the study. While Hutton notes that data like these are useful for women making a decision, she feels the more common approach is to get immediate reconstruction with implants, given the challenges with autologous reconstruction. Hutton also wonders about the cosmetic outcomes of autologous reconstruction and how that might influence a patient’s choice. “I’m not sure if this information is compelling enough for someone to opt for autologous reconstruction, but it is certainly encouraging for those who are not candidates for breast implants,” she notes.